I have over 30 years of experience in the franchise industry, 20 of which come from foodservice. I have been a franchisor twice as well as a master franchisee of a national brand for the Province of Quebec. 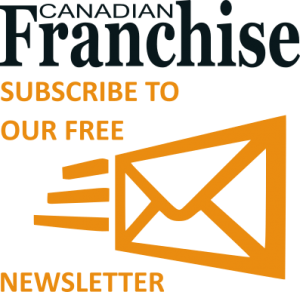 With this article I hope to share some insight that will assist those looking to purchase a restaurant franchise. Food franchises make up the lion’s share franchise opportunities in any country. The logic seems to go; “I like to cook, I like to eat, why not buy a food franchise, it will be the easiest to run?” Allow me to correct this assumption immediately; foodservice is the most difficult of all industries franchised or not. Being a restaurant owner is hard, often grueling work with long hours of managing mostly minimum wage staff and completing administrative duties. The opening hours of the business are only part of the time commitment, the other hours being spent after business hours, to do the back office administration work. The beauty of the franchise model is that a prospect is not required to have any previous experience in the restaurant industry. This does not negate the need to bring a skill set to the table; it means that they have to be either innate or learned and honed in previous employment. These skills are what will make the difference between a good and a great franchisee and are considered heavily in the franchise qualification process. These skills include, but are not limited to: supervisory and management expertise, as well as communication, organizational, selling and prioritization skills. The Training Program is very thorough but only covers the operations and administrative aspects of running the franchise. The cost of the franchisor’s training program is covered in the Initial Fee, but travel, meals and accommodations are not. Depending on the complexity of the operation training will be anywhere from 1 week to 3 months at a location to be decided upon by the franchisor. Once that is completed a training team goes to the new franchise location to assist in preparing the franchise for opening day. It is in the franchisor’s best interest to ensure proper training and support during the opening phase so that the brand’s systems and procedures are followed correctly from the outset and do not need to be corrected later. There are a variety of restaurant formats available and each one comes with different time commitments, staffing requirements and amount of administrative involved. The choices can include: full service sit down, counter service, delivery, a food court model, a catering business or the new and upcoming kid on the block, a food truck, just to name a few. A full service sit down restaurant is obviously the most expensive, intensive and time consuming however it is generally the most lucrative. Full service is big business (even in a small resto) and the requires full time attention of the owner. This often necessitates the hiring of a Manager which reduces the cash available to pay the owner a salary at the beginning. Mall rents for food courts are traditionally very high and often the business can’t generate sufficient income to support an entire family, unless the family works in, and gets paid by, the business. It is ideal however for a single person, semi-retired or as a second income or second location of a full service franchisee. Even within categories there are choices to make and it should be made based on the quality of life desired first, then within the budget available. For example, someone who hates mornings should not be buying a breakfast franchise where the preparation begins at 5:00 am! By making the choice based on quality of life first, the franchisee has the greatest chance of success. Financially, the Turn-Key or Total Cost is the number that is the most important at the buying stage. This is the total amount of money that it will cost to open the location from the date of signature of the Agreement to opening day. I always tell clients to include 2 numbers that are typically not included but are necessary to truly understand the entire investment. The first is 3 month’s working capital, which includes rent and all other operational expenses, is necessary because the business will not likely be able to pay all of its expenses from cash flow for at least that. Second, 6 months of living expenses. If the business cannot support itself it certainly cannot support personal living expenses. To fund the Initial Investment most franchisees use the Canadian Small Business Loan Program where the borrower is only required to personally guarantee 25% of the amount borrowed. This Program is offered by all chartered banks and the borrower must have at least 50% of the Initial Investment in cash or unencumbered investments that can be easily liquidated to qualify. The loan only finances hard costs (equipment, construction, inventory) so items such as franchise fees and legal fees cannot be financed. The biggest challenge of the foodservice industry as compared to other retail is that other than food cost and labour cost, all other costs are fixed and waste is a significant factor in the determination of profit or loss. So an owner really has to concentrate on controlling 2 expense categories and the result of improper management can be losses in the hundreds of thousands per year, and millions over time. On average food cost for a full service resto is about 30% (and labour is 25%), any deviation results in direct loss of profits as this is an expense category. For example, a 1% reduction on food cost on Gross Monthly Sales of $50,000 is $500/month, $6000 per year, or $6000 of pure profit that could have gone into the owners hands, used to reduce debt, or to buy marketing. However franchisees are not generally off by 1% but more like by 4%-8%. At 5% on $50,000 per month, the loss is $30,000 per year of pure profit, not to mention the interest on that money! In 10 years that’s $300,000 lost! Additionally waste is a critical factor in food cost and this is can be the most difficult to control. Most owners do not even think to track the amount of waste or the portioning of the serving sizes easily increasing food costs. Owners are never in line with their labour cost either and once again, tens of thousands are being lost yearly. When you add the discrepancies in margins for food cost and labour, the reduction of gross profits is staggering. Rest assured, there is software, online tools, point of sales systems and other ways to control these costs properly. How many multiple unit holders are there? The more there are the better. What is the turnover rate? How often are existing units being sold? A normal rate for an established franchisor is about 20%. But this is still a high number, find out why. What is the franchisor’s long term plan and are they well capitalized to fulfill it? All the great plans in the world do not come to fruition without the proper funding. The foodservice industry is extremely competitive but a good operator who can control costs will reap the financial benefits, thoroughly enjoy the industry and have a lot of fun with the interesting cast of characters that the industry attracts!